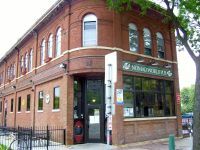 Located just east of downtown Minneapolis, on the west bank near the U of M, Nomad World Pub is a great place for beer, bocce ball, soccer, live music and just plain chilling. Nomad has one of the best premium imported beer selections in the Twin Cities, with 24 selections from around the world in bottles. 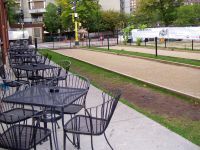 Their outdoor bocce ball courts are free to use except when leagues are playing. They offer the best of televised international soccer games. Get your groove on to live local bands, Thursday through Saturday or Live DJ Reggae on Tuesday. Take a trip around the world without leaving your bar stool. 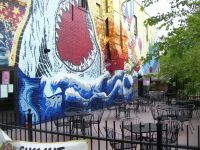 Nomad is trendy nightlife spot for hipsters, hippies, artists and students. 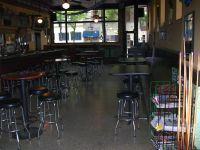 A great 2 for 1 happy hour, 24oz St Pauli Girl or Tecate for $5 and you can munch on hummus, falafel, gyros or cheeseburgers, provided by a local deli. Two great patios to relax the night away and on Sundays night enjoy the live Hootenanny or Jazz, while chilling by the fireplace. Challenge yourself and friends during Trivia nights, and check out the Prix Fixe (pint of Schell’s Dark, shot of Jagermeister and a Camel smoke for $6.95). 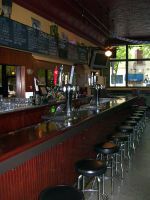 If you are looking for that hip, cool and laid back place with culture to chill, you found it at Nomad Pub.